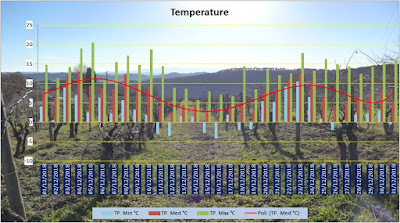 Winter was cold with min temp below 0°C in November, December, February and March, while January was unusually warm. 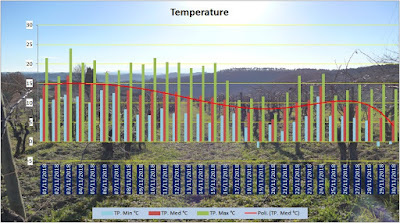 Low temp was able to kill olive trees disease, and this so important for us because we don't us any poison. 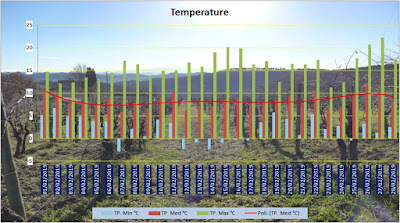 No frost in April, so our vines could start growing with no damages. June and July were hot but luckily max temp not passed 39°C. Winter was rainy and so was May but summer was very dry until the first decade of August, when the rain increased berries size. Comparing to 2017 total rain is 170%. Comparison between the last 4 years. 2018 was colder in winter but warmer in April but the low March temp allowed an almost standard budding time. 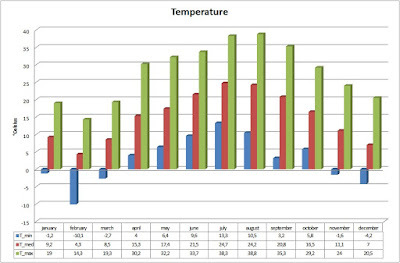 Summer temp was very close to 2017 explaining the low production also if slightly increased because of the August rain. As usual this wine represents our philosophy in life and in wine producing. Being natural as much as possible, respecting Earth, trees and preserving from damages. Fruits are presents. 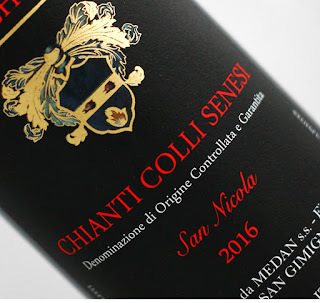 This is the reason this wine is dedicated to San Nicola: the Saint that brings gifts to everyone who does good, and wine is the most precious gift we do. In our estate there is the historic church dedicated to San Nicola, built in 998, that shows the devotion to the Saint, older than 10 centuries. killed in Nice terror attack on 14 July 2016, in order that his name will be named all over the world, paired with our wine, bringing everyone his great joy of life that has always filled his Soul. 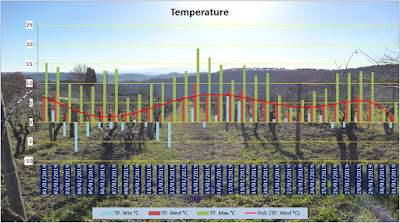 Come sempre rappresenta la nostra filosofia di vita e di produzione dell'uva e del vino, in maniera organicamente naturale, con il massimo rispetto per la terra, le piante e la loro conservazione. E' proprio perchè i frutti della terra sono un dono che ci permettono di produrre un grande vino ogni anno, seguendo le stagioni e l'evoluzione del clima, che nasce la dedica a San Nicola: colui che porta i doni a coloro che fanno il bene ed il vino è il nostro dono più prezioso. Infatti nella nostra azienda c'è la storica chiesa di San Nicola data 998, che testimonia lo stretto legame che dura da 10 secoli.